Canada is home to more than one hundred ant species. The most common ants are the Argentine ant, carpenter ant, fire ant, odorous ant, pavement ant, pharaoh ant, and the thief ant. These common ants may wreak havoc on your life by invading your home and property. Some of them can even cause structural damages. Finding ants crawling around outside your home may feel distressing because you realize it is only a matter of time before they make their way inside. Fortunately, you can stop ants in their tracks. Removing ants from outside your home is simple with the right tips and tricks. You have many different options when it comes to removing ants from your property. Start by applying diatomaceous earth across your lawn, particularly in areas where ant activity seems high. If you find an ant nest, pour the diatomaceous earth into it. Make sure you protect your nose and mouth with a mask when using diatomaceous earth. Ants have a hard exoskeleton that offers them protection against threats that might put their lives in danger. Fortunately, diatomaceous earth can work its way through that hard, outer shell. Once inside the exoskeleton, the product pulls moisture from the ant’s body, which dries it out and suffocates it. Another option is to use vinegar. If you find an ant nest in your yard, pour an entire quart of distilled vinegar into the nest. 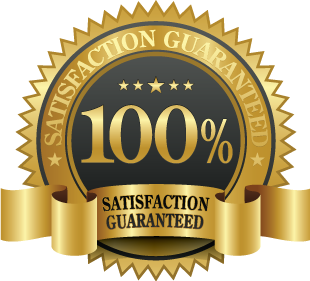 Make sure the vinegar has a concentration of at least five percent for maximum effectiveness. Ants cannot tolerate high acidic conditions, which creates a low pH balance. Since vinegar is highly acidic, it kills ants on contact. 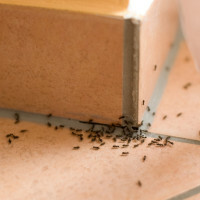 Another way to remove ants from outside your home is through proper cleaning and care. Move outdoor trash bins as far away from your home as possible. Make sure you find securely lidded trash bins and seal all trash bags as tight as you can. If you have a compost pile, relocate it so that it is not near any of the sides of your home. Keep your yard clean and well-maintained. Ants are often attracted to areas with diseased plants and soil. Trim your yard regularly and keep the grass and soil watered to make sure it stays healthy. The healthier your yard and soil, the less likely it is to attract ants. If you maintain your yard and keep it clean, any ants that occupy your yard will likely move on. Finally, the best way to remove ants from outside your home is to contact a professional. A professional ant control can use various methods, including sprays, to rid your yard of unwanted ants. If you have pets or children, or you are worried about any plants in your yard, make sure to tell the professional. He or she can use a spray that effectively removes ants while ensuring the safety of you, your family, your pets, and your plantings. Once the professional destroys the ant population, it will be up to you to maintain your yard so they do not come back.